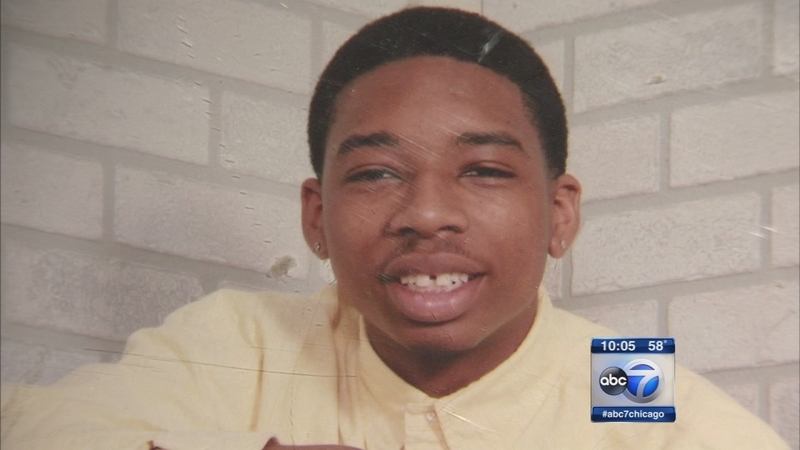 CHICAGO (WLS) -- There is a call for justice on the city's South Side after a teen is murdered. Joseph Graves was gunned down Friday night, and Sunday, the community banded together in a search for answers. Following Sunday services, members of the South Side's Trinity United Church of Christ left the sanctuary for the streets. It was a march for one of their most active members. Graves was killed a few blocks from the church. Sunday afternoon as his family and church members marched to the scene of the crime, reward flyers were left on cars and in mail slots. Following a prayer, the teenager's mother spoke out about not speaking up. "Whoever knows anything, please, please say something," LaTonya Graves said. "Don't be silent, break the silence, he didn't deserve this." Graves was killed minutes after he responded to his mother's text reminding him about his curfew. On his way home, he was about to drop two friends off when a gunman opened fire on his car in the 700-block of West 92nd Street. Graves was shot in the back of the head. His family does not believe he was the intended target. "He couldn't do anything wrong, he didn't have a mean bone in his body," said Micheline Terry, Graves' aunt. The teenager's relatives said he was mild mannered, quiet and funny. They and his church family can't believe Chicago's violence has hit their home. "I not only shed tears for my nephew, but I shed tears for a lot of people," Terry said. Chicago police have little information about the shooting. They cannot confirm whether or not Graves or someone in his car was the target. The reward for an arrest and conviction is $5,000.